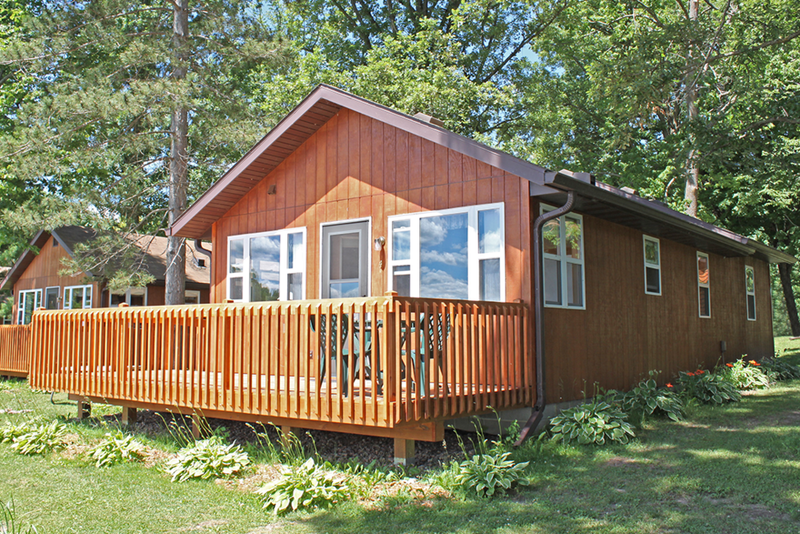 Cottage #4 is a three bedroom lake home featuring a fantastic lakeside view from both the living and dining rooms. This cottage has three bedrooms with one queen bed each. A futon in the living room rounds out the sleeping accommodations. Completely remodeled and beautiful. Two bathrooms, one with tub/shower combination, one with shower only. This cottage is ramped, for those with mobility issues. Sleeps up to 8. Shorter stays for up to 6 people. Shorter stays for up to 6 people. 2 nights $570, 3 nights $780, 4 nights $980, 5 nights $1170, 6 nights $1290. Deposit is 50% of price.